You know that saying, "nothing in life is free"? 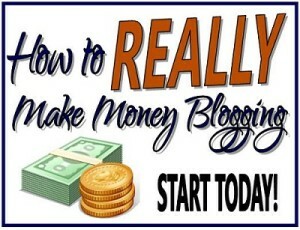 Well, I found something free and it can actually help you make money using your blog! Have you heard of The Blogelina? I've been reading her blog for a while and it's full of useful blogging tips...she is also offering an absolutely free class entitled "Profitable Blogging For Beginners". A FREE Year of Web hosting! Blogelina is able to provide each person who registers for Blogelina’s Online Class a complimentary year of web hosting ($84 value)! That’s right – no strings attached, no hidden requirements… Just register for the class through the button below and start building your profitable blog today! Blueprints, Step-by-Step Tutorials, Networking With Other Bloggers - Everything you need to grow your blog! Save yourself a lot of time, trouble, and money – learn from the Blogelina's own experiences on what to do and not to do! The class meets Tuesday evenings for one hour. If you don't like it you can withdraw and still keep the manual. What's to lose eh? One thing to remember, that the class will most likely be focusing on using Wordpress blogs...if you want to learn more about Wordpress then this would be perfect timing! I hope you'll take advantage of this resource...it's a great way to get your feet really wet in the big bloggy pond! Awesome! Let me know if you love it!